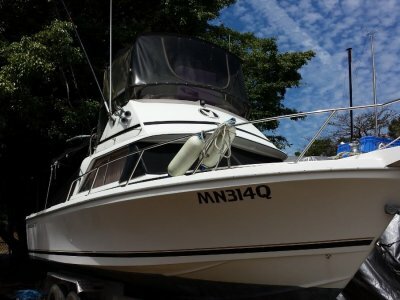 The Seaswirl boats are well know for there high qaulity build and sea keeping abilities and this one is exceptional. 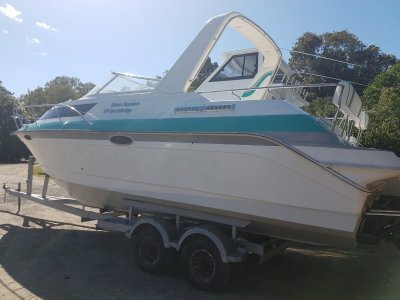 Powered by twin 4 stroke Johnson outboards for safty and relability it has the added bonus of being in 3C survey (certificate of operation) think of the potential. 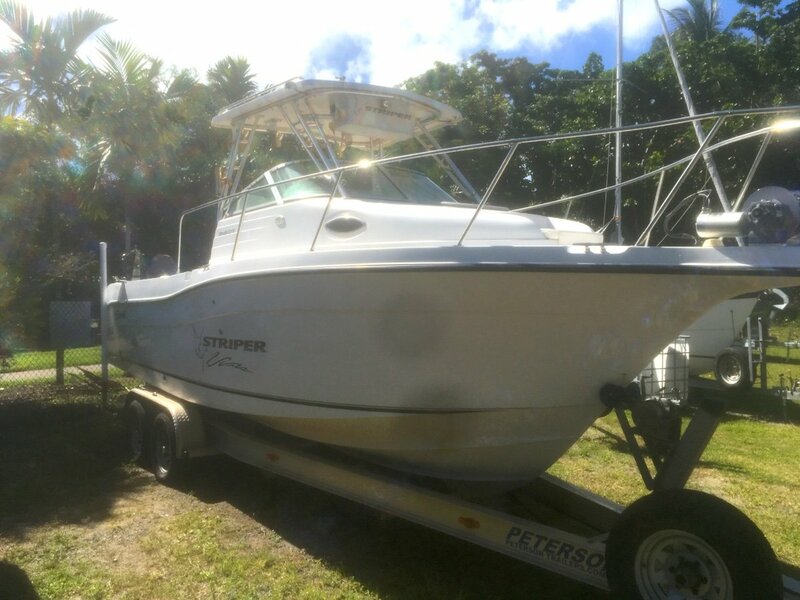 2004 Seaswirl Striper 2601 Boat is powered by a pair of 150 Johnson Outboard 4 stroke motors under 650 hrs. custom Aluminium Trailer, with EOH brakes loaded with extras.